Niki App is a new Way to book a cab,mobile recharge,pay postpaid,electricity,data card & DTH bills,order food and much more,Where You Can Enjoy All These Via Chatting. Here They have Come With Awesome Offers Where you Can Get Huge Cashback On Recharge And Bill Payment. Follow Below mention Steps To Avail The offer. You Can Get Free Rs 10 Niki Credit in Your Wallet Using Referral Code ashwani58 At Signup. 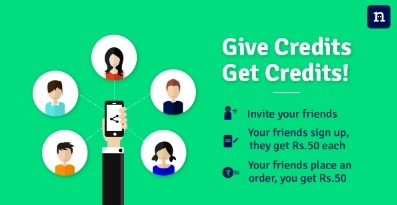 And You Can Also Get Rs 50 For Each Referral When Your Friend Make 1st Transaction Worth Rs 50 Or Above Who Has Signup with Your Referral Code.